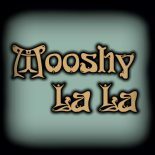 MPL: How long has Mooshy La La been open? MPL: Have you always been in this business? SUE: I started in the retail industry 45 years ago. My work history has always involved display & presentation, a side of retail I really enjoy! Starting in the fashion industry in the early seventies, I trained as a Visual Merchandiser, (Known then as a “Window Dresser”) for a chain of small independent fashion boutiques. This was a time before the high streets were dominated by chains of fashion stores when department stores did not really cater to the younger market. I would travel to London from my hometown Liverpool on regular buying trips, exploring, always looking for new trends & inspiration! A very exciting time in the fashion industry! My promotion & retail skills then took me into another sector of Fashion – this time in the Prestige Perfumery/Cosmetic Industry, I was lucky enough to work for Christian Dior and even luckier to train in Paris for this Iconic Couture house! I continued in the Cosmetic/Perfumery world, working with wonderful companies: Chanel, Givenchy, YSL, Jean-Paul Gaultier, to name a few, until the early 90’s. I had started my family at this point and became a full-time mum to my two children, in their early years. I now felt the time had come to take my career down a different path & qualified as an Interior Designer, I adored the history/antique side of this profession – my preferred styles being Art Nouveau, Art Deco, Bohemian & Gothic of course with added Glam. With a passion for antique/vintage clothing & jewellery! I have gone full circle and now have my own little Vintage Fashion Boutique, & find myself selling items that I might have sold & worn over 40 years ago! SUE: My biggest inspiration has been Barbara Hulanicki’s Kensington High Street store – BIBA, which I was fortunate to experience firsthand before its closure in 1975, this magnificent emporium greatly influenced my own little vintage bazaar. MPL: What makes Mooshy La La different from many other vintage stores? MPL: Who, would you say is your main customer? My store is not for everyone, yet my customer base covers all ages, all walks of life. Many have a concern for mass consumerism and prefer not to be caught in that web. They want value for their money. They want something that isn’t all over the high street. The one common denominator is – they each regard themselves as an ‘individualist’ and not a ‘follower’! That’s not to say they don’t take inspiration from others, we are all inspired by others- inspiration gives stimulation! That’s what I want people to feel when they come into Mooshy La La – ‘Stimulated’ & ‘Inspired’ – so they can create their own look! They do not feel the need to be told how they should look “they like what they like” and when they come in here they are often spoilt for choice! MPL: Where do you buy your stock from? MPL: If you didn’t have Mooshy La La what would be your dream job? SUE: Well I strongly believe “Your dream job does not exist, you must create it!” and I think I’ve done that, but if you asked me “If I didn’t have to earn a living or I had unlimited funds, what would I do? Then the answer would be either creating a small Independent fashion museum (I say, Independent because I could not handle being controlled by a Governing body who dictated how it was to be done) or creating a small Emporium giving several like-minded people an opportunity to set up their own creative business under the same roof. Possibly in a beautiful Victorian Gothic Villa, surrounded by exotic gardens! Sigh! Maybe the answer to that original question is ‘Dream-Maker’ Hahaha! MPL: Where did the name come from? SUE: It’s the nickname of my daughter Misha Lily. When she was born, my son, Lloyd, (then aged 4) decided on his own variation of ‘Misha Lily’ hence…..Mooshy La La! I adore the Deco period & I think Mooshy La La is a perfectly frivolous name that conjures up the image of a coquettish Ziegfeld Flapper of those ‘Jazz Age’ days!!!! This entry was posted on December 15, 2017 by mooshylala in 70's Boho, Age & Style, Antique/Vintage Collectables, Biba, Christmas, My vintage life!, My World, shopping, Vintage, Whats happening at Mooshy La La.